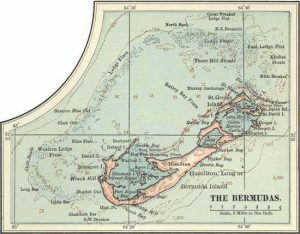 Bermuda Fun Facts ~ Where is Bermuda? 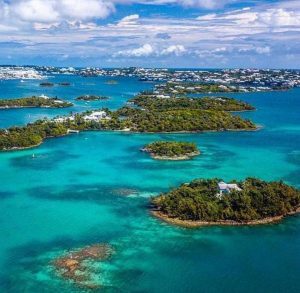 Upon approach to this beautiful charming island, your plane is flying over Bermuda’s colorful barrier reef and white rooftops. You will see the ocean surrounding the island is almost gemlike, but then you will be asking yourself how it is so high north and yet so tropical. 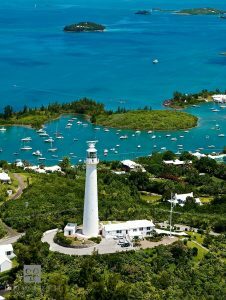 Bermuda is a 21 square mile island located on the North Atlantic and off the east coast of North America. It is actually a string of 138 islands and tiny islets, out of which some 20 are inhabited and seven are joined by bridges and causeways to the main island. The Bermuda Longtail, so beautiful, chooses this place to return every year to nest. Bermuda’s deep history of Pirating! Bermuda’s pirating history deserves much more than a simple paragraph on a numbered list. It is enthralling and exciting to read. During the 1700s, the island did not have much natural resources to reap. What they did have though, is what the ocean provided, along with the sturdy cedar trees that grew all over the island. Therefore, it made sense then, that they turned to shipbuilding and privateering – or in other words, piracy. plundered all the way from Boston to the Turks Islands and Bahamas. Privateering died out in the early 1800s, and as fearless as Bermudians were in those days, Bermudians today are some of the friendliest people you will meet. to easily see straight down 100 ft on clear days. You may see a school of large black groupers or an eagle ray halfway down swimming next to the ledge. Bermuda’s coral reef has mostly, if not all, arrived from the Caribbean, Bahamas, and Florida through the Gulf Stream. The same Gulf Stream that carries the warm current that has created this tropical oasis in the middle of the Atlantic Ocean. rum drinkers world-wide. It is the reason for the Dark & Stormy, a national drink, a must try! underground tank that every house has, and after passing through a filtration system, it is safe to drink. If you happen to run low on water in your tank, you need to call the water truck and have them deliver a truckload of water to your house. There are more churches, across many denominations, on Bermuda per capita, one of the highest in the world. Bermuda’s Churches are beautiful in architecture, full of culture and history dating back to the oldest Anglican church outside of the British Isles and the oldest Protestant church in continuous use! St Peter’s dates back to the early 1600’s. It is now historically part of UNESCO World Heritage site. FRIDAY, JUNE 14: The carnival officially starts at 7pm with live performances during 5 Star Friday. This event features the best in local and international Soca artists and DJs. You will be entertained from start to finish, so don’t be late! SATURDAY, JUNE 15: At 12PM on Saturday, the carnival continues with world’s first and only Raft Up! Here we take carnival onto the water by securing a ‘big truck’ on a floating barge to create the biggest party ON the Atlantic Ocean! Arrive by land or by water to Shelly Bay to experience soca, sun and the sea like no other event in the world! SUNDAY, JUNE 16: You will be entertained from sun up to sun down, with the large variety of events including breakfast cruises, all-white fetes, steel pan performances in the park, and All-Star concerts featuring celebrity artists, beach parties and much, much more. Visit the event page for the full event listing. MONDAY, JUNE 17: Starting at 3AM, we present to you the world’s most EPIC J’Ouvert party!! This J’Ouvert party still holds the record for the biggest “Circle of Friends” in the WORLD and will be one of the most vibeziest experiences of your LIFE! Monday, JUNE 17: The Parade of bands. All five bands have incredible costumes that were created by some of world’s best designers. The exhilarating day on the road will end with live performances by international artists and DJs at the Last Lap event. We invite you to… COME PLAY WITH US! Perched on Bermuda’s stunning south shore with miles of pink sand beaches alongside our private beach club, dotted with lush bougainvillea and towering coconut palms, the luxurious Fairmont Southampton, Bermuda beach, tennis and golf resort serves island adventure and relaxation. Conveniently located in the mid-Atlantic, less than a two-hour flight from most east coast gateways; this Bermuda hotel is perfect for Atlantic vacations, getaways, meetings & events year-round. 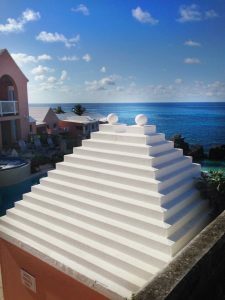 Fairmont Rooms are located between the first and fifth floors of the resort with partially obstructed views of Bermuda’s turquoise waters, the lush Turtle Hill Golf Course, or the iconic Gibb’s Hill Lighthouse. Our Bermuda hotel rooms boast tasteful furniture, LCD TV, writing desk, WiFi access, fully stocked mini bar, walk in closets and spacious bathrooms with double granite vanity. Each room has a private outdoor balcony with table and chairs. Rooms may have One King bed or Two Queen beds. Views are partially obstructed of the water or lighthouse. Delta Air Lines is pleased to offer special discounts for BERMUDA HEROS WEEKEND. Fairmont Southampton is approximately 30 minutes from airport. Guests arriving may receive a taxi from the taxi queue upon departure from the arrivals and luggage claims hall. Alternatively private transportation can be arranged. 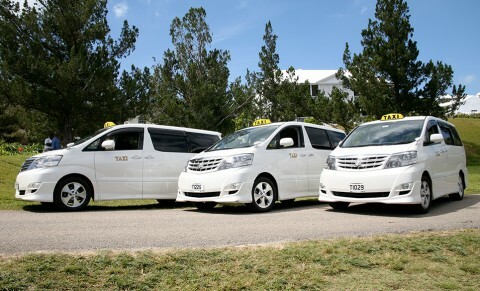 Pre-arranged transport ensure you will be accommodated upon exit from airport. Cost is $22 per person each way with shared ride or $90 each way for private service. Cost includes airport meet and greet, baggage handling and gratuity. 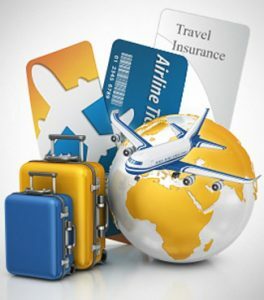 Travel safe – travel smart – travel with peace of mind = Travel insured! Passports!! Now would be a great time to check your passport for validity date.Please be aware that all citizens, including infants and children, must have a passport when traveling outside of the US. Please ensure you have at least 6 months past the date of intended travel to Bermuda. Most destinations are now adhering to the 6 month validity rule! 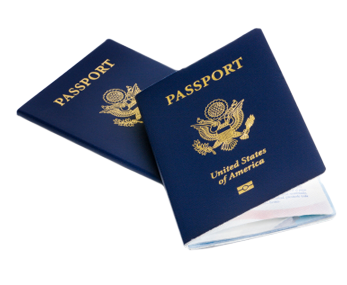 Married women traveling with passport in their maiden name and ticket in their married name must carry also a legal stamped marriage certificate. Non US citizens require valid passport from their country. Please inquire with local consulates for any Visa requirements. There are no jet ways on Bermuda. Guests exit the plane via metal stairs onto the tarmac and into the arrivals immigrations hall. Please check with your airline if there are mobility issues to make special arrangements. Cell phone usage is strictly forbidden in the arrivals hall area! Arrival forms will be given out either at your departure area gate or on the plane. Have the forms filled out completely to ensure a speedy process through immigrations! Bermuda dollar is on par with USD – USD is widely accepted on Bermuda. Be sure to exchange/use all your Bermuda currency prior to heading to the airport! There is no exchange outlet at the airport or in the US! Electrical outlets are same as the US so no additional adaptors needed! Debit cards and Credit card companies may charge fees. Check with your card company or bank prior to travel! All major mobile phone companies operate on Bermuda. Check with your mobile service provider for international charges that may apply. Gratuity charges are added on to all food and beverage bills automatically regardless of the size of the party! Be sure to be aware of this to avoid adding/double gratuity charges! On departure – During the check in process you will bring your own checked luggage to the conveyer belt. Be prepared to possibly have to open your checked luggage for random security searches. US customs is located at the Bermuda airport. You will clear US customs during your departure process. Be sure to allow extra time for this and have your US customs form(provided on entry) filled out. There are food outlets at the Bermuda airport as well as a few shops, including duty free for any last minute gifts! There may be an additional checked baggage search as you pass through the gate area to board. You will need to go down a flight of stairs, out onto the tarmac and then board the plane via the metals stairways. Assistance is available for mobility impaired and families with children. Did you know? 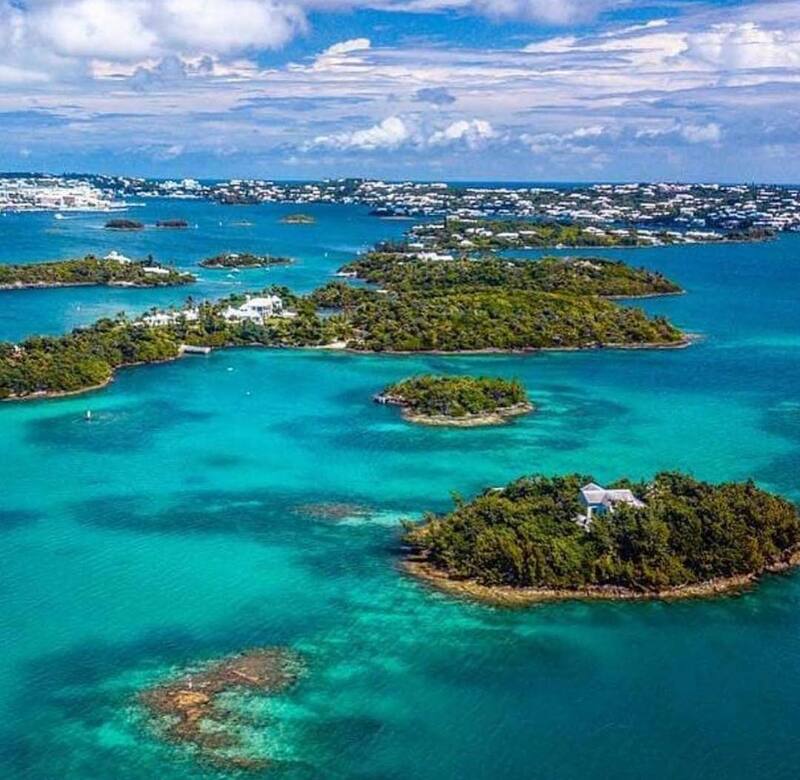 Bermuda is actually a group of 18 islands! The 8 larger major islands are connected by bridges and causeways. The smaller ones dot the Harbours and Sounds uninhabited or with luxurious residences! Crystal Caves – open to the public since 1908, they are spectacular. Please check with concierge to ensure open times. Fort Scaur – See the island from this amazing old fort! 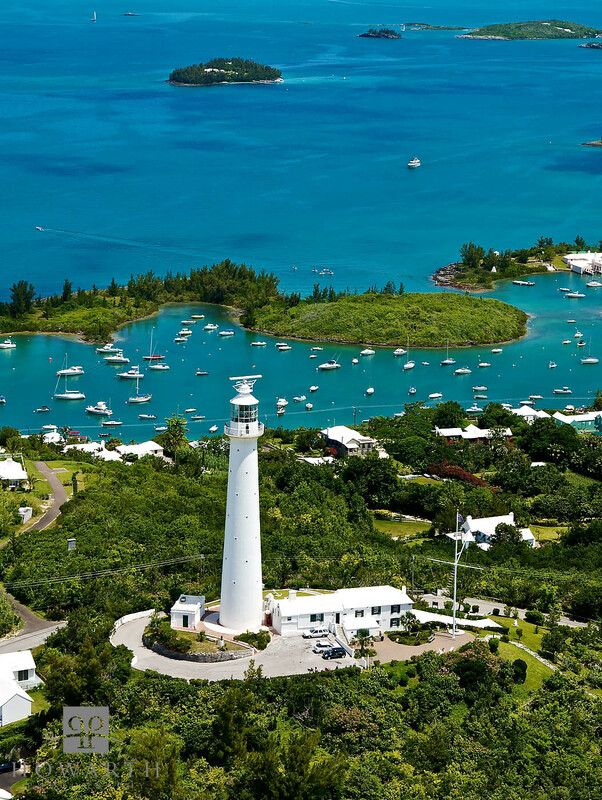 Gibb’s Hill Lighthouse – climb to the top for an amazing 360 degree view! Horseshoe Bay Beach! – One of the top 10 beaches in the world! Mini Golf! – The most awesome mini golf now at Royal Naval Dockyard! Please check with your concierge for other fun and exciting activities and sites! Enjoy the sunset, pink sands, tropical fish, tiny tree frogs at night, Rum Swizzle, Dark & Stormy, Bermuda Fish Chowder!